Pick a team any team. 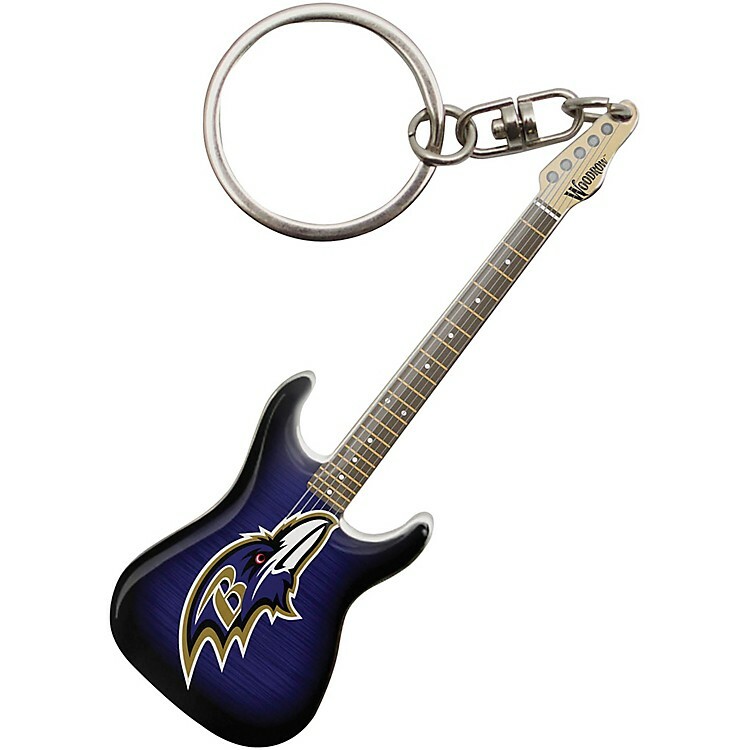 This keychain features an officially licensed logo from your favorite NFL team emblazoned on a metallic electric-guitar shaped attachment so you can show your love for music and sports at the same time. A perfect gift for the sports fan/guitar player in your life!